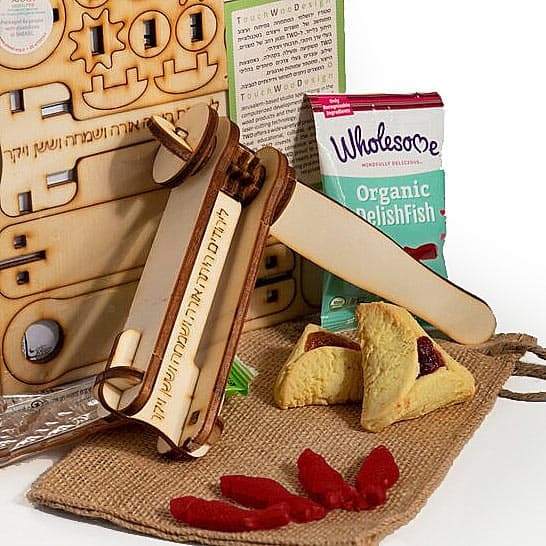 This balsa wood grogger kit is a perfect Purim gift for the kid in all of us. Just punch out the pieces and put it together according to the instructions. No adhesive required! 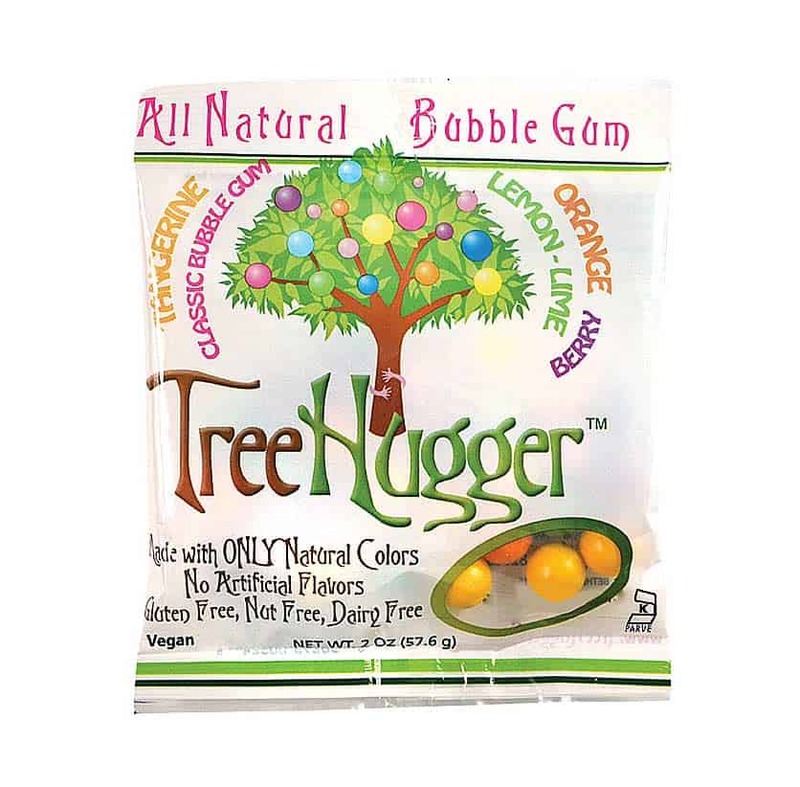 We’ve paired this grogger with organic bubble gum, organic raspberry gummy fish, and organic dried fruit leather in a burlap bag that will hold the grogger once you put it together. 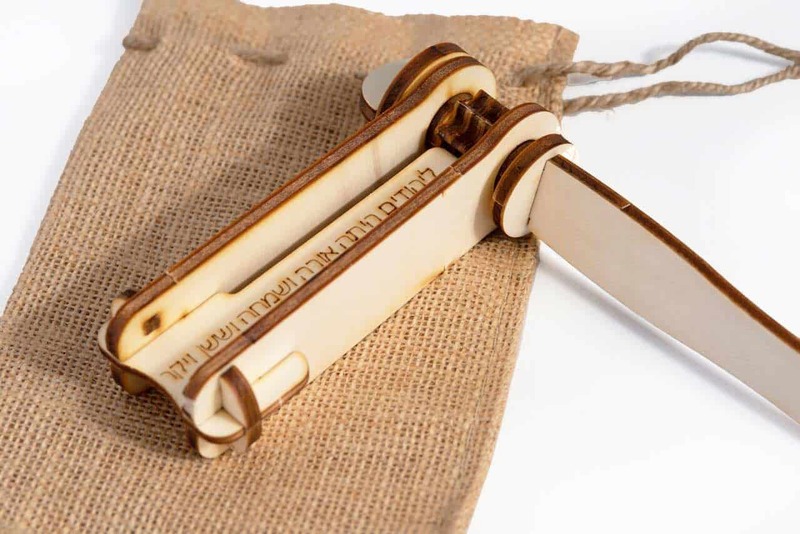 Balsa wood grogger made in Israel. 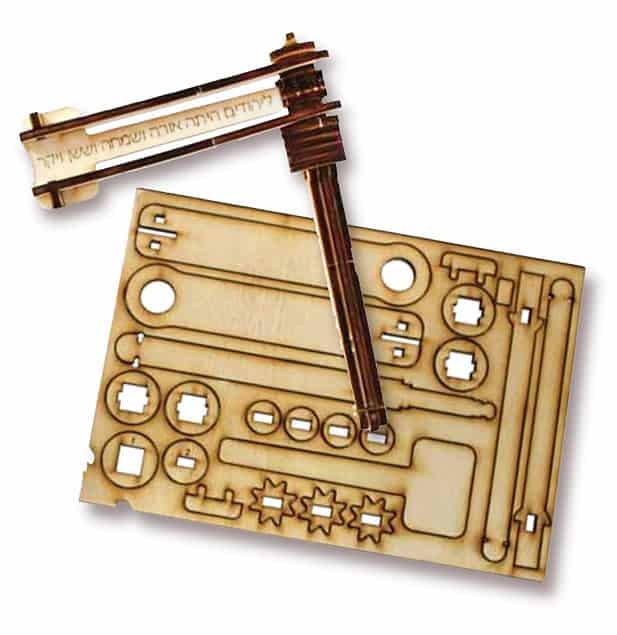 Make-Your-Own Grogger Kit measures 8”H x 8”W x 1”D. All gifts are shipped close to the holiday. All contents are individually packaged for freshness.